Digital blue fluorescent display. 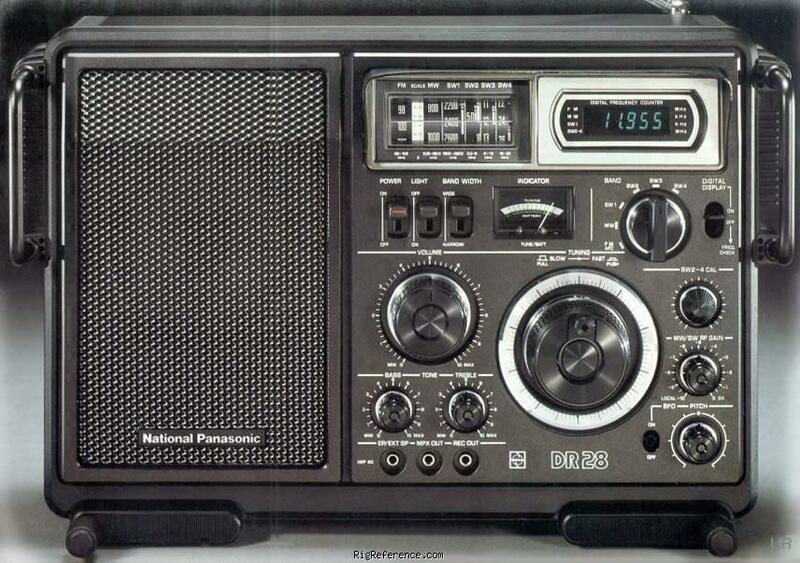 This is the European version of National / Panasonic RF-2800. I originally bought my DR-28 at the ship's store while I was in the US Navy. It was $165, and I used to listen to it on the forecastle while we were plying the Pacific. It was a joy to use and quite sensitive. The only problem was occasional noise from the vacuum fluorescent frequency display, but you could switch that off. Great sound from the big speaker, and FM performance was superb. Still have a DR28 today, although not the original one. Only complaint--a little drifty sometimes, but very easy to deal with. Estimating the value of a rig can be challenging. We collect prices paid by real hams over the years to help you estimate the current value of the National / Panasonic DR-28. Just bought or sold this model? Let us know what you traded it for and help other ham operators!